Honestly though, there are so many good parts there are too many to list. Just take a look. The fireworks from my roof last night. It was an interesting night on the roof! There was someone who used to live on 11th Street when I lived there, around thirty years ago, and a person who lived in the building I’m living in now around twenty years ago. That was a pretty mangled sentence, but you get what I’m try to say. … and this is pulling back. 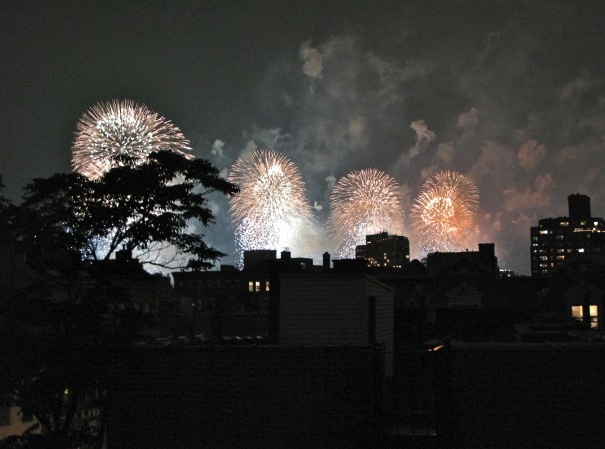 There were four barges out on the Hudson River shooting off fireworks. Next year, mark my words, I’m going to watch from the river instead of my roof. Thanks for the link to the ACA explainations – I’ll pass it along to some of my low information friends (not that they’ll read it, but, hey, at least I tried). God,those pictures are great! I wish our fireworks were even half that good. 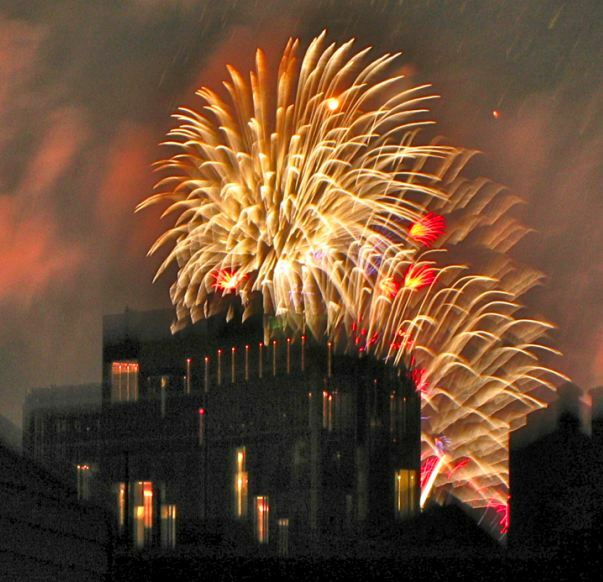 I so wish we could go to our rooftop and see fireworks like that !! Truly one of the benefits of living in NYC in the July heat! Stay cool – look forward to seeing you the 28th of July. Yeah, it’s nice to live in a city with a company like Macy’s, which pays for these fireworks. Oh right, see you on the 28th, LI-Karen. I hope the weather is less miserable then.